RealGTA3 (=RGTA) is a free add-on for THE BEST GAME OF 2001 - for GRAND THEFT AUTO 3. RGTA is not a product of Rockstar North/Rockstar Games/Take 2 Games! 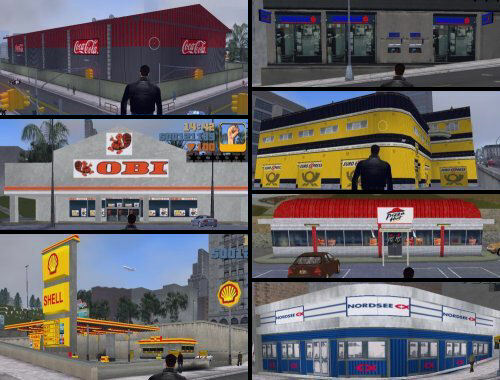 RGTA is the ultimate collection of many GTA3 modifications made by independent authors from all-around the world. 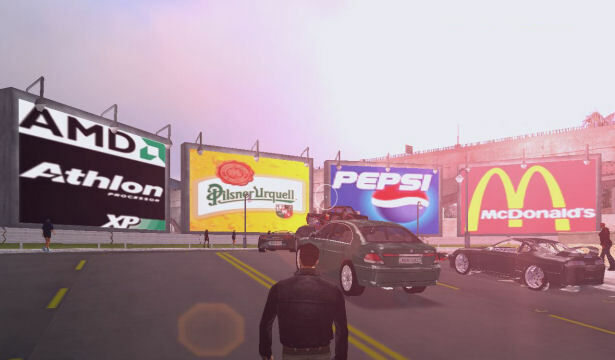 The intention of RGTA is to make GTA3 more realistic by adding real cars, buildings or advertisements all over Liberty City. Some information about RGTA development it's in credits section. Since it is free add-on, you can not profit on RGTA anyhow! Use RGTA at your own risk - I'm not responsible for any hardware or software break-downs or lost data/profit/business/information/wife;-). ALL cars have been changed to new ones - each one with unique handling, colors and 3D wheels. TO SEE PHOTOS OF ALL CARS, GO TO GALLERY. 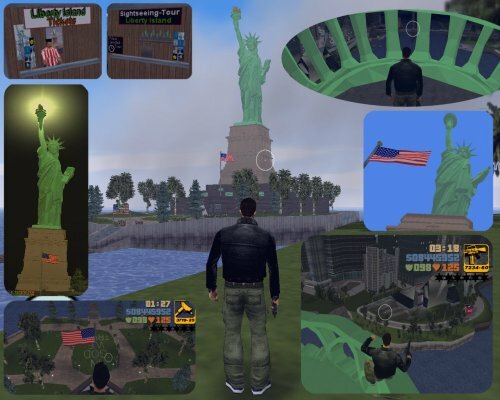 ● Statue of Liberty - this awesome NY's statue has moved to Liberty City:-) You can find it on new island near the Kenji's casino (it's even marked on radar! ), so you must use a boat to get there. There are some useful historical and technical information on statue's pedestal. If you want to see whole Liberty City from the birds-eye, use stairs to get into statue's head or torch! But don't fall down! ● Player of previous version of RGTA suggested a great idea - jump ramp to Liberty Island;). So it's in the game. Just take very fast car and try to be accurate in targeting the ramp - go wrong speed or direction and you won't land by the Statue of Liberty...you will fall into water:-). 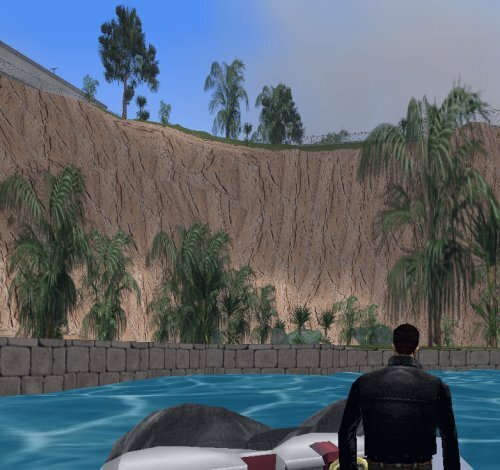 There's a boat by the Liberty Island ready to get you back to Staunton (you must start new game - boat won't be there if you load non-RGTA save games). ● New bridge - it is placed in Shoreside Vale and it's VERY useful, because it connects your hideout to the main road near the Francis Int. Airport. If you use Yakuza's Toyota Supra Veilside, you can get to Staunton from Shoreside in few seconds!!! RGTA brings you completelly new arsenal - crowbar, Desert Eagle, uzi KG-9, shotgun Battle 7, MP5, Sig551, rocket launcher M79, sniper Rifle PSG-1, L2A2 grenades, new molotov and flamethrower model! The weapons are more effective (by 50% on average), so now it's really dangerous to hang around in the area of hostile gangs! Few bullets from any weapon are enough to get you killed...but on the other hand, you're invincible if you can use your weapons well! ● Default ugly radar is now color and very detailed! Roads are white, buildings are orange, grass is green, water is blue and places of interest are purple. ALL PICTURES ARE IN THE GALLERY! VISIT CREDITS TO SEE WHO'S BEHIND REALGTA3. RAN INTO PROBLEM? SEE HELP.